The Chinatown in Binondo is a sight to see, especially at times like this when the Lunar New Year is drawing near. Newly installed Chinese lanterns adorn the streets around Lucky Chinatown Mall. Authentic Chinese food stalls line up the streets in between buildings that house temples and jewelry stores. A fireworks display, along with parades and a countdown towards the Year of the Pig, will be shown on Feb. 5. It’s a vibrant place to celebrate the new year in. But if you live far from the capital and jam-packed restaurants and bustling streets aren’t your thing, there’s still another Chinatown (with a more intimate atmosphere) you can go to. Tucked within the quaint location of Santolan Town Plaza is a pretty straightforward little Chinatown that offers most of the delicacies we’ll brave Binondo for. Boxes of Eng Bee Tin’s tikoy can be bought at almost the same price as the ones in Manila. Polland Hopia’s wide variety of hopia is up for grabs. 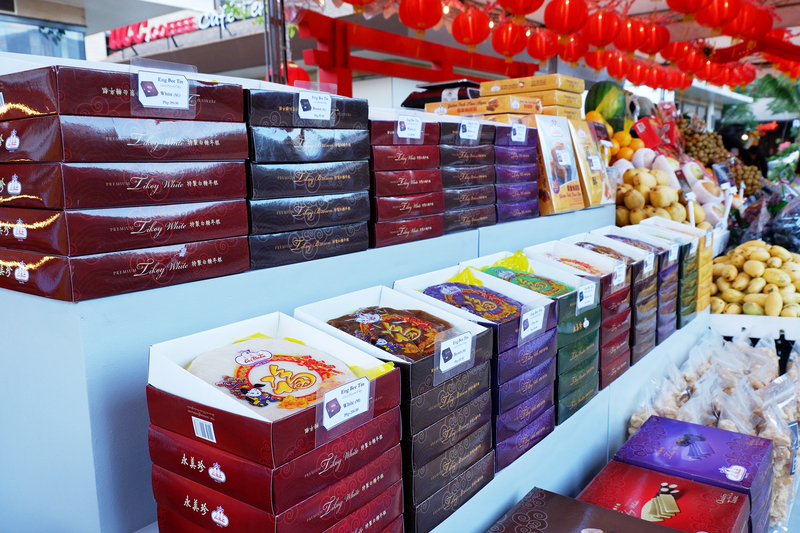 If you’re planning to display round fruits on your dining table in line with the Chinese belief that this will bring prosperity into the home, Frutesca is also selling assorted fruits that can suit your taste. 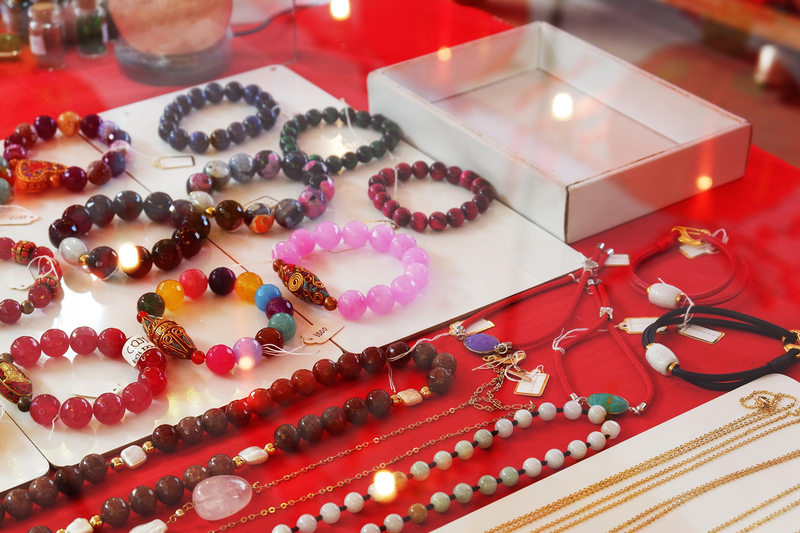 Round bead bracelets and necklaces that look similar to the Buddhist prayer beads are also on display along with gold jewelry, which is also popularly bought in Binondo. 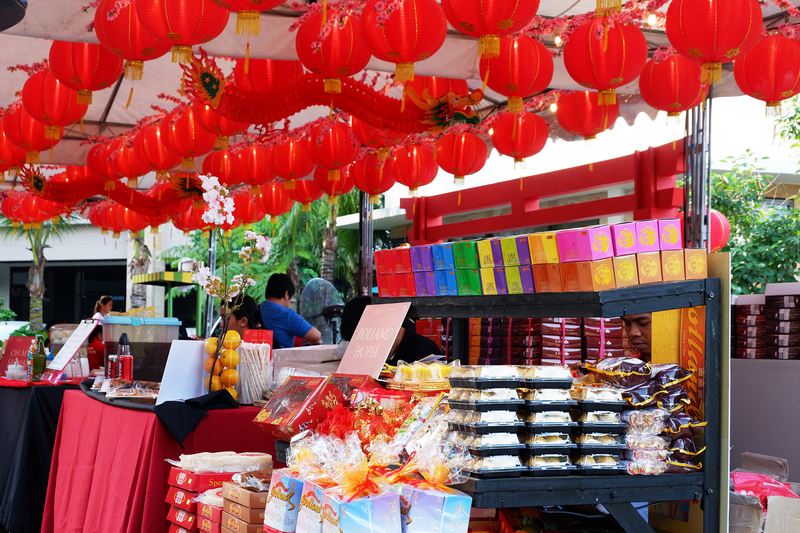 Although there will be no fireworks and grand countdowns in the Santolan Chinatown, guests will still be treated to shows by lion and dragon dancers and Chinese cultural performers. If you’re feeling extra lucky with the coming of the Year of the Pig, you can also join the little Chinatown’s fortune belly promo where you can win cinema passes and stuffed toys. See the mechanics here.